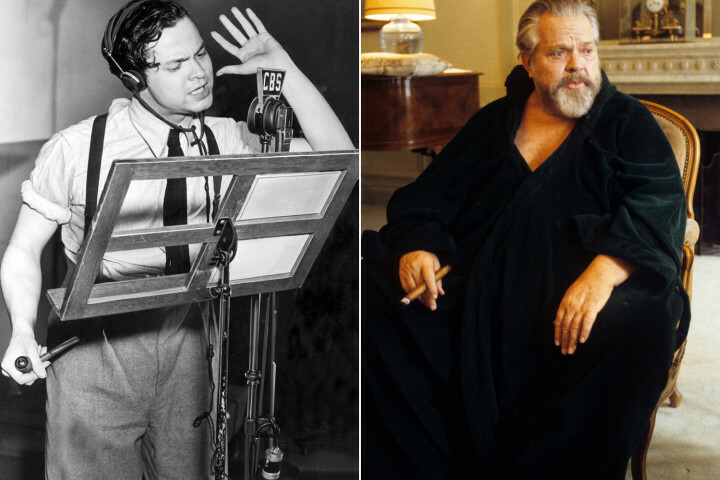 Is "astonishing" the best overall word to describe the life and work of Orson Welles? 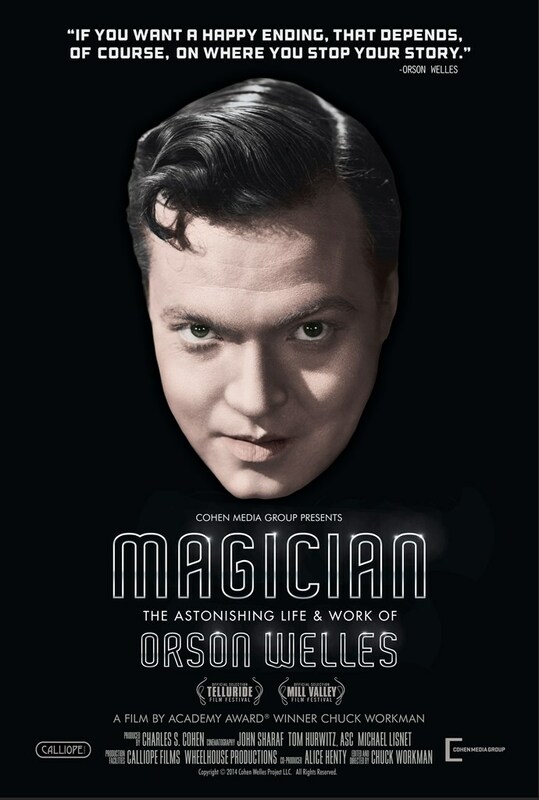 That, in any case, is the adjective chosen for MAGICIAN: THE ASTONISHING LIFE AND WORK OF ORSON WELLES, the new documentary by Oscar-winning filmmaker, Chuck Workman. After watching the movie and letting it sink in a bit, TrustMovies suspects that it really is the right choice. 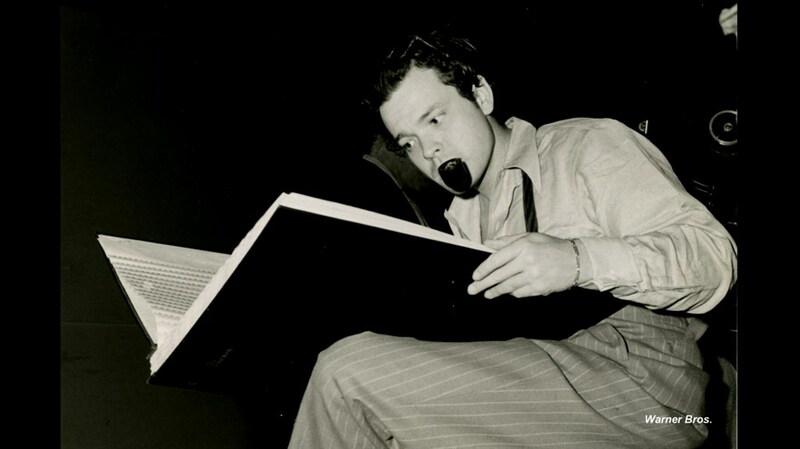 At the time of the debut of Welles' various creations -- for legitimate theater, radio and film -- the populace (industry folk, too) were indeed astonished by the work of this "boy wonder," as the fellow was often called, well past the time he reached manhood. 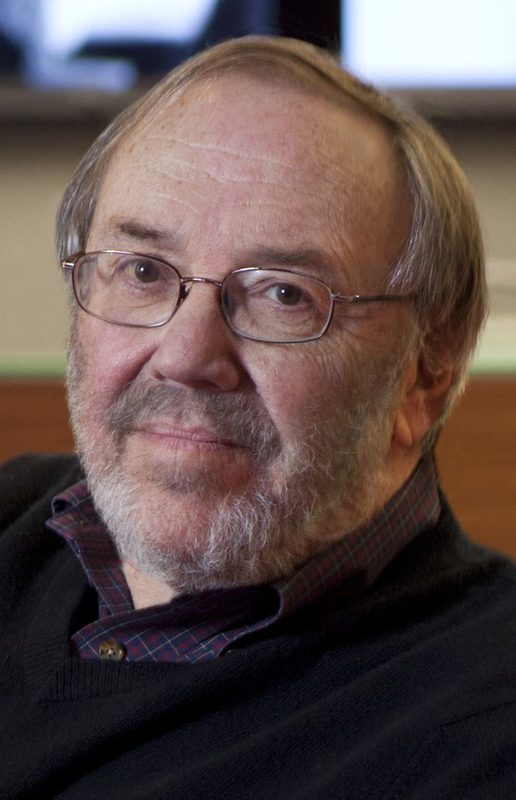 Even today, after some of his innovations have been re-used past cliche, his work stands up to scrutiny, and when coupled to the history we get here, astonishes all over again. Whatever you may think of Welles and his oeuvre, I suspect that you may find yourself astonished, too, at his story, and the way in which Workman (shown at left) weaves it together via some priceless archival material (photos, newspaper clippings), along with interviews of old friends, co-workers and relatives (one of Welles' daughters contributed to the film, another refused to). After viewing the movie, my appreciation for this master has deepened and I find myself wanting to go back and see some of his work again (as well as wishing I could have experienced his live theater productions). 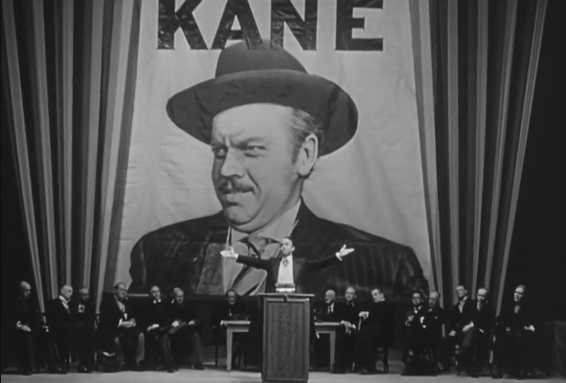 Mr. Workman divides his film (and Welles' life) into sections: Boy Wonder (through 1941), The Outsider (1942-49), The Gypsy (1949-57), The Road Back (1958-66) and The Master (1968-85). Though an interesting assortment, this sort of sectioning works better in a book -- where you can go back and peruse again some of the facts and/or photos -- than on film, where you're stuck with whatever you can immediately remember. Instead, it is the cogent interviews with their well-chosen statements that impress and remain. 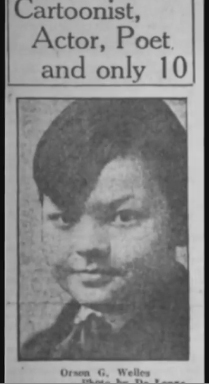 We do gets some of Welles' family and romantic life included here -- from his distant mom to women the likes of Rita Hayworth and Geraldine Fitzgerald, with whom Welles is said to have had yet another child -- unacknowledged as the spawn of Orson, if I understood the film correctly, by either parent. Yet it's the work, above all else, that comes through so strongly. The movie will have you hoping to finally see Chimes at Midnight, in which Welles played Falstaff, once again. (Did we greatly misjudge that one at the time of its original release?) 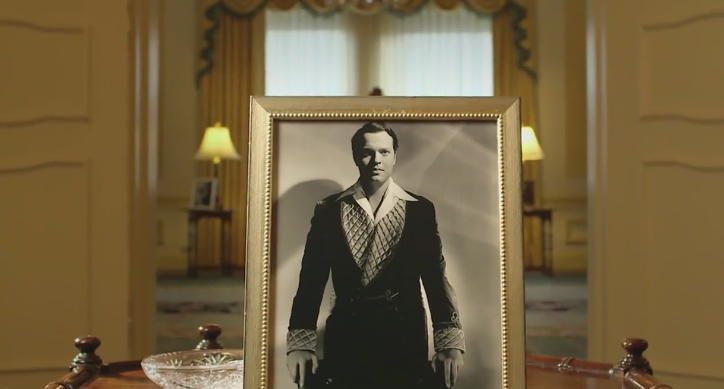 As well as his Macbeth, Othello, and even The Lady From Shanghai -- which remains forever wondrous and silly, priceless and misbegotten. 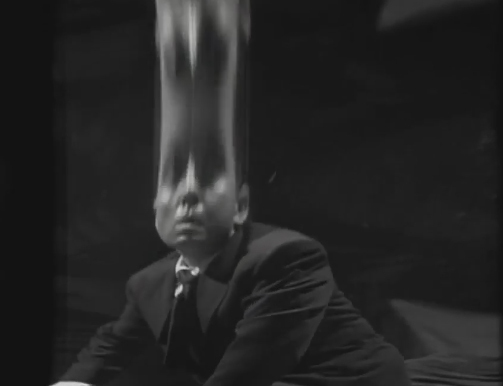 More than anything else (there is really not that much that's new here), Magician is a genuine and highly entertaining appreciation of Welles, the movie-maker, if not so much the man. For its wealth of archival material alone, strung together with artistry and wit, it is simply unmissable. From Cohen Media Group and running a swift 94 minutes, the documen-tary opens this Wednesday, December 10, in New York City at the Lincoln Plaza Cinema, and in Los Angeles at the Laemmle's Royal.